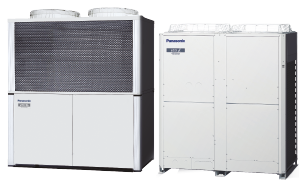 Panasonic’s bivalent controller enables a heat pump from the Aquarea range to operate alongside a gas- or oil-fired boiler and controls sequencing to minimise running costs. The controller includes three different operating modes and all necessary sensors are included in the package to operate both energy sources and a secondary pump. 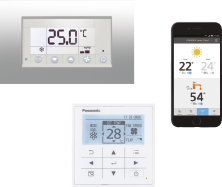 A thermostat can be connected to stop both the pump and the heat pump/boiler according to room temperature. The three bivalent operating modes are: Alternative; Parallel; and Boost/Parallel Demand. In alternative mode, if the outdoor temperature is below the threshold design value, then the system stops the heat pump and starts the gas/oil boiler or other alternative energy source. 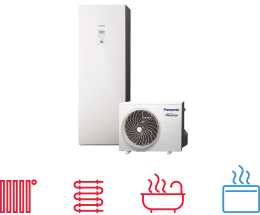 In parallel mode, if the outdoor temperature is below the threshold design value, then the system starts the gas/oil boiler or another energy source, and the heat pump and the gas/oil boiler work alongside each other. In boost/parallel demand mode, if the outdoor temperature is below the threshold design value, then the controller starts to monitor the buffer tank temperature. If the buffer tank is below a set temperature over a specific period, than the gas/oil boiler is switched on. The system switches on the gas/oil boiler according to the demand. In the case of buffer tank control, the user can apply a constant buffer set temperature and the heat pump is switched on if the buffer tank temperature is below the set point. If a room thermostat is installed, then the thermostat switches on or off the secondary pump and the heat pump supply to the buffer tank. For secondary pump control, the water pump and the heat pump are activated by the room thermostat. 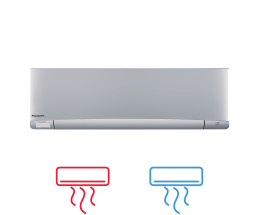 If the room thermostat opens the contact, then the system stops both the secondary pump and the heat pump. 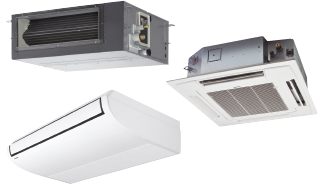 In all applications, summer shut down is operated so that the secondary pump (if activated) and the heat pump are stopped if the outdoor temperature is above the design set point.